The latest on personalized learning, blended learning, CBE and all things innovation in K-12 education. We answer questions before you think to ask them. Mike Wolking was formerly a Senior Strategist at Education Elements, and left to pursue the Ian Axford Fellowship in Public Policy in New Zealand. Recently, I had the opportunity to facilitate a workshop with our partners at Loudoun County Public Schools and the Buck Institute for Education to do some deep thinking about the connections between project-based learning and personalized learning. I am very passionate about these two pillars of instruction, and I'm doubly passionate about their intersection. As we continue to progress through the 21st century we are compelled to ask whether current models of schooling are well designed for the world beyond classroom walls. In particular, it’s worth reflecting on 3 essential questions in school model design, a term we use to refer to how schools are organized to deliver instruction to students. Interested in Personalized Learning But Don't Know Where to Start? 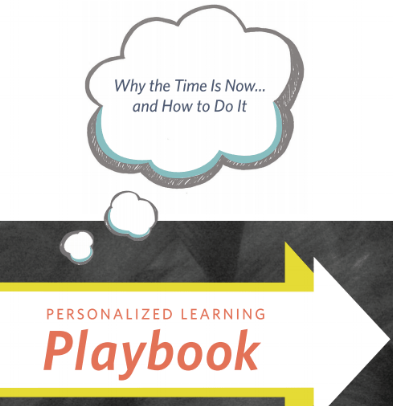 Subscribe to the blog to get your free copy of our Personalized Learning Playbook. A Playbook that will help you make the case for personalized learning, and reflect on the important elements to take in consideration. When I was in high school I had a fantastic U.S. history teacher who demanded that we each complete an independent research paper on the 1960’s at the end of the year. I got to choose the topic and knew that I’d have to develop a thesis, and I knew the defense of that thesis would have to be sourced from far more than textbooks - it had me scouring local libraries and whatever I could find on Webcrawler at the time (my friend told me about a site called Google that was pretty good but I thought the name was weird so I didn’t use it for a while). When our team partners with a school district to tackle its toughest education leadership challenges, relationships are built at all levels of the organization. We may encounter superintendents and cabinet staff first, but we tend to find ourselves learning in many nooks and crannies of an organization over time, listening to content area specialists, IT staff, teachers and school leaders, and even attending parent nights or school board meetings. If you’re an educator, my guess is that at some point in your career you’ve been to a workshop focusing on unpacking standards. Unpacking a standard refers to the practice of reviewing what is often a long, clause-ridden statement and breaking it down into component parts to identify what students should know and be able to do.